My sincere apologies for not doing a book review last month, I had a lot of things going on and I wanted to make sure I properly understood the book I was going to review (thanks for understanding😊). I really did find this book educating and interesting because it made me see reasons why majority of us act and behave the way we do. This month's book review is titled Emotional Intelligence for Dummies by Steven J. Stein. He is a PhD holder, a clinical psychologist and CEO of Multi-Health Systems (MHS) - a leading international test publishing company. Dr. Steve is a leading expert and consultant on psychological assessment and emotional intelligence. This book involves understanding and managing your emotions and the emotions of the people around you. It is the ideal book for anyone who wants to get smart about their feelings and reach the next level at work and at home. Emotional Intelligence for Dummies will show you how to take control of your emotions rather than letting your emotions control you! It also contains helpful techniques and exercises that you can participate to be more emotionally aware or intelligent. I recommend it for young adults, adults, students, parents and also to schools, churches, organizations and emotionally unstable people. Let’s hope I did justice to the review…Lol! Emotional intelligence isn’t just about being nice to people. You also have to recognize another person’s perspective and use your emotions appropriately. So, in some cases, emotional intelligence means that you must be tough with the other person, or show him or her that you’re not happy with their decisions. Emotional intelligence is more about being able to read the other person and using your emotions appropriately, as described in the following sections. Being very smart in one or two areas doesn’t mean you’re smart in all areas. You can be exceptionally intelligent academically but have low emotional intelligence. Emotionally intelligent people have a certain way of thinking, feeling, and behaving. They’re naturally confident. They bring out the best in others. When you’re with someone who’s highly emotionally intelligent, you feel like he or she is completely interested in you. He or she isn’t distracted when talking with you; you get his or her full attention. In times of crisis or difficulty, emotionally intelligent people make you feel more at ease. They don’t panic, and they’re focused on solutions. They offer a healthy perspective that helps you realize that things may be okay in the end. ✓ Know your mood most of the time. ✓ Possess a good understanding of why you feel the way you do. ✓ Know how others around you are feeling. ✓ Manage your feelings, especially by turning intense, or hot, negative emotions into less intense, or warm, emotions. ✓ Manage the emotions of people around you, making those people feel more at ease. Emotionally intelligent people enjoy a full range of feelings. They’re not robotic or unnatural in their experience of feelings. Their feelings are real and can be intense — especially positive, happy feelings. When they have intense negative feelings, they manage not to get overwhelmed. They get over negative feelings far more quickly than most people. Emotionally intelligent people tend to use all their senses — taste, touch, smell, vision, and hearing — to fully experience feelings. In social situations, an emotionally intelligent person’s thoughts are centered and focused on the other person. When an emotionally intelligent person talks to a friend about that friend’s sick mother, he/she is thinking about his/her friend, what he/she is saying, how he/she feels about it, and how that might impact his/her life. An emotionally intelligent person doesn’t think about how he would feel under the circumstances; he considers what he can do to help. An emotionally intelligent person thinks about what he might say to his friend to let him/her know that he understands and will support him/her in this time of difficulty. Emotionally intelligent people look after themselves, but they’re often thinking of the needs of others. They’re very aware of their environment and the people around them. They’re good at realistically looking at the big picture, picking out what’s important and responding appropriately. An emotionally intelligent person generally approaches people with a WIIFY (what’s in it for you?) attitude, rather than a WIIFM (what’s in it for me?) perspective. When you think of others, you stay balanced and avoid becoming self-centered. Emotionally intelligent people are able to think logically about emotion. When they experience an unpleasant emotion after an event, they can ask productive questions about what caused the emotion. For example, when Jane hears that her boyfriend, Jim, was at a bar Friday evening with another woman, she feels an instant pit in her stomach. It’s as though someone punched her. Then, a feeling of extreme sadness takes over. This emotional change happens so quickly that she doesn’t even have time to consciously grasp the situation. She wasn’t overly confident about her relationship with Jim, so the news strikes her instantly with feelings of sadness. After a short while, she starts asking herself some questions: How do I know who this person is? Could it have been a business meeting? What if it was a relative? Could he have female friends? Has he given any signals that our relationship is shaky? So what if he decides to see someone else? Would I like to be free to date other people again? Would it be the end of the world if we broke up? Can’t I find a new relationship if I have to? By asking herself these questions, Jane moves away from her depressed feelings and experiences feelings of concern, instead. The next time she sees Jim, she brings up the subject in a nonthreatening way. Instead of being angry or accusatory, she’s calm and inquisitive. She’s relieved to find out that Jim has a female first cousin he’s close to and keeps in touch with. Part of his discussion with his cousin was about Jane and him getting together with her and her boyfriend the following Saturday night. What if Jane had assumed the worst and greeted Jim with a fight? She may have damaged her relationship with Jim and caused her own self-esteem to suffer. Staying cool, calm, and collected while completing many tasks isn’t the only way to demonstrate emotional intelligence. You also show emotional intelligence in how you carry out the tasks at hand while under pressure. For example, Nicole broke her tasks into manageable parts, which helped her keep her cool. When most people are frazzled, you generally want to stay away from them. But Nicole is so adept at working with people that they welcome being around her. Nicole’s work team, instead of feeling stressed about the deadline, enjoys the challenge of the tasks. Nicole makes them feel good about having the opportunity to participate in such exciting tasks. She can make her mother feel relieved and comforted after less than ten minutes on the phone. She knows just how to get her husband enthused about having his favorite dinner — and using his time to prepare it. Emotionally intelligent people manage themselves, and the people around them, well. You also probably can’t tell how emotionally intelligent a person is just by the way he or she looks — unless you really know what to look for. You might recognize his or her level of emotional intelligence by watching him or her deal with a stressful situation — in traffic, at the supermarket, or anywhere else you see people lose their cool. Although you shouldn’t judge people by their looks, you can figure out a lot about them by watching how they behave — especially under stress. People who have low emotional intelligence are generally not very happy, aren’t in touch with their life goals, and have poor problem-solving skills. These deficits have real-life implications. They may have difficulty maintaining relationships with people, holding down jobs, being promoted at work, having satisfying intimate relationships, or dealing with stressful situations. 1. Become more self-aware - You can become more aware of your emotions through various forms of meditation or mindfulness. By enrolling in a course, joining a group, or hiring an instructor, you can use these techniques to become more aware of your body, your feelings, and your thoughts. You can also become more self-aware by using your notebook to record your feelings at various preset intervals. By increasing your emotional vocabulary and using it to describe your full range of feelings throughout various parts of the day, you can figure out how to pay more attention to your emotions. 2. Express your thoughts, feelings and beliefs - Knowing how to express your emotions can often help you in managing those emotions which can be done through assertiveness. Assertiveness is the appropriate sharing of thoughts, feelings, and beliefs. Basically, you need to let the right people, at the right time, know where you stand. 3. Discover your inner passions - Everyone tends to go about their work from day to day doing what they have to do. But how many people are really excited about the work that they do? Few people strive to do the kind of work that really excites them. Most people have a passion for some kind of work, activity, or interest deep inside, but you can’t always easily find it. You may know some starving artists who shun regular jobs in hopes of making their dreams come true. You may not be able to easily find work that you’re passionate about, but with the right amount of planning, you can do it. 4. Know your strengths and weaknesses - Some people seem to think that they’re good at everything. Others constantly underestimate their strengths. The ideal situation, of course, is to accurately know your strengths and weaknesses. Knowing yourself helps you make choices in life. For example, by focusing on your strengths you can get more of what you want out of life. Pursuing the things you’re good at and have a passion for such as science, music, art, writing, public speaking, woodworking, or gardening — enables you to live a richer and fuller life. By over focusing on areas of weakness, unless they interfere with your life, you tend to hold yourself back from getting the most out of life. 5. Walk in other person’s Moccasins (Empathy) - Empathy is an extremely powerful emotion. Most successful politicians (such as Bill Clinton), philanthropists (such as Princess Diana), media personalities (such as Oprah), and leaders in the community and business are high in empathy. Increasing your ability to empathize can help you get closer to others, win their support when you need it, and defuse potentially high-charged situations. By showing another person that you really understand where he’s coming from, you gain a certain level of respect. You demonstrate that you’re not self-centered. You can start being more empathetic by paying more attention to other people. Listen carefully when communicating with someone. Listen to both what she tells you and what she wants you to hear. By getting better at picking up and paying attention to what people are really trying to say, you become more empathetic. 6. Manage another person’s emotions – If you can manage the emotions of people around you, you have an impressive skill. You’ve probably seen leaders who can calm down or reassure an angry crowd. On the other hand, you’ve probably also seen how some people can mismanage the emotions of others. Think of the number of times a poorly prepared CEO of a company had to face the media in a time of crisis. By giving off the wrong body language, using the wrong tone of voice, or evading answers to questions, these leaders made people who were watching feel more annoyed or upset. Managing other people’s emotion can be achieved through increase of empathy and responding to them in the way you would want someone to respond to you. 7. Be socially responsible – Social responsibility is one of the highest levels of emotional experience. It demonstrates that you really care about others, especially those less fortunate. Being socially responsible isn’t about personal gain — it’s about what you can contribute to help other people. 8. Manage your own impulses – You can do this as stated in the book by; distracting yourself when you sense a problem, by being more analytic in your approach towards something and by having a specific number of coping thoughts. 9. Be more flexible – Change is part of growth and being emotionally intelligent involves knowing when to stick to and when to switch your emotional attachments. When it’s time to move on, people high in emotional intelligence can make that adjustment. Part of growing as a person involves learning new skills and approaches and experiencing new relationships and places. Be open to change for more productive ways. 10. Be happy - How happy are you? No, really, how happy are you, on a scale of 1 to 10? Are you a 5 or a 7? How about a 9? People high in emotional intelligence are happy people. And they’re not just happy because good things happen to them. Happiness (real happiness, which feels like a warm, steady glow inside your body), comes from the inside out. A person who manages this emotion well wakes up happy in the morning. And when he encounters challenges throughout the day, he can maintain a certain level of his happiness. People prefer being around other people who are happy. Happy leaders have followers who are very engaged. You can find many advantages to being happy. People will appreciate you more and you can get through tough times. So, you can control your mood to serve your own purpose. Being emotionally intelligent involves knowing when to be happy, sad, excited, anxious, or even vigilant. 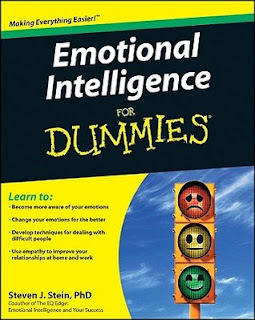 Finally, I really don’t think anyone should remain a dummy emotionally after reading this book and practicing its helpful techniques and exercises, except they decide to be. I have the PDF file of the book, should in case you are interested. 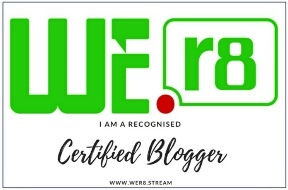 All you need to do is indicate interest in the comment box below, be subscribed to the blog which is absolutely free and I would send it to your mail box. Thank you for reading and I really hope you found the review and tips helpful as much as I did. Don’t forget to like, share, and subscribe! See you around! You are pardoned Naomi! We know whenever you post on the bog, it's always informative and inspiring. Thanks for the review, I gained more knowledge! Awww...thank you Kathryn! Much love! Thanks Lola! If you already subscribed, it will be sent to your mail. How To Write A Really Good CV + Do's And Dont's! 7 Investments You Should Be Making In Your 20's. Staying Positive: The Do's And Dont's!